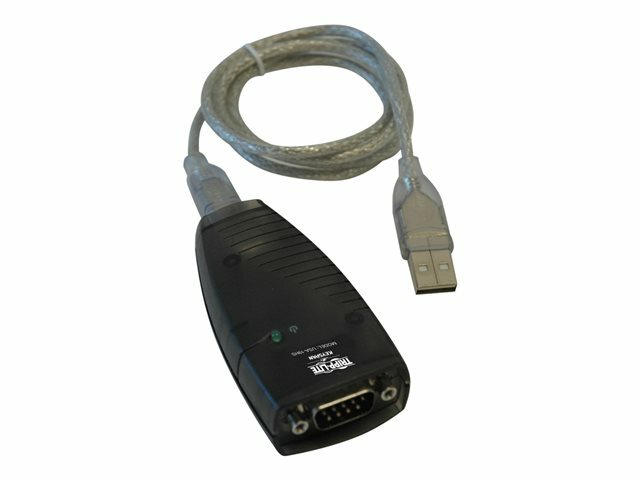 The USA-19HS Keyspan High-Speed USB-to-Serial Adapter allows you to connect a serial device to a computer or laptop with a USB Type-A port. 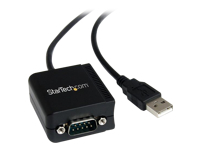 Widely recommended by serial device manufacturers, the USA-19HS attaches to switches, routers, barcode scanners, GPS units, point-of-sale devices, lab equipment, network storage devices and other devices with a 9-pin serial port. 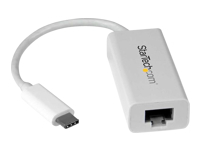 The included 3-foot detachable cable supports data transfer speeds up to 230 Kbps - twice as fast as a built-in serial port. The USA-19HS works with any USB cable up to 16 feet. An LED indicates data activity. This adapter requires no external power and, at just 2 ounces, packs away easily in your laptop bag for use on the go. Windows line monitor and data trace software included. Easy to upgrade with free software downloads. 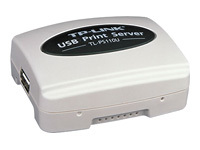 Works with Windows (up to 10) and Mac OS (up to 10.11). Compliant with the Federal Trade Agreements Act (TAA) for GSA Schedule purchases.